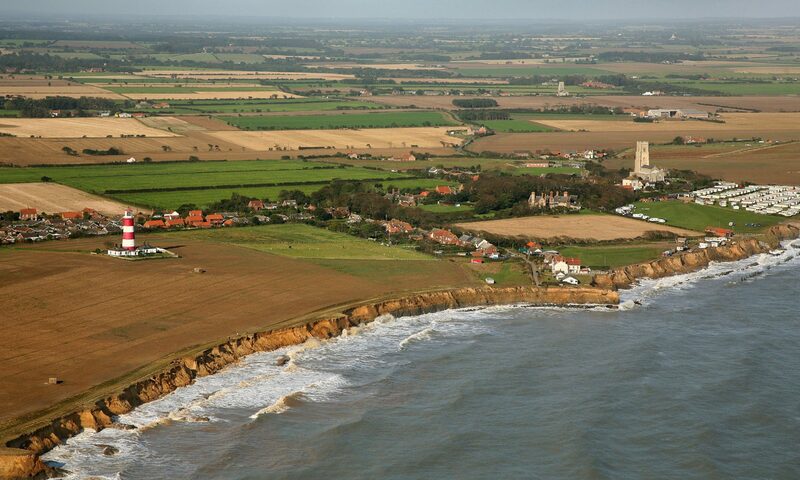 People in Happisburgh concerned at the state of the village’s devastating sea defences were last night urged to make their individual voices heard by taking part in mass lobbying. 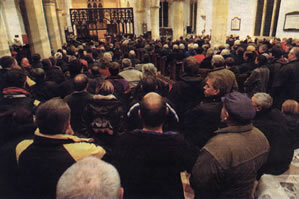 Around 500 villagers packed into the parish church to discuss the way forward for the threatened village. Emotions in Happisburgh are running at an all-time high following the loss of the lifeboat ramp – the only access to the beach in the entire village – late last year. The gathering was handed a last glimmer of hope, after it was revealed a new access could be built thanks to co-operation between the owner of the village caravan site and North Norfolk District Council. Every seat in the church was full, with several dozen people standing at the back – just one indication of the strength of feeling within the village. The meeting was told by chairman Malcolm Kerby, who is also co-ordinator for the coastal concern action group, the MP Margaret Beckett, Secretary of State for the Department of the Environment, Food and Rural Affairs, had turned down an invitation to attend. Norman Lamb, MP for North Norfolk, was present, along with several senior officers from the district council. Many of the people at last night’s meeting have been featured in the EDP in past months and years, as their houses have either been lost to the encroaching sea, or they have spoken of their fear of what the future holds. One of those was Di Wrightson, whose Beach Road home and business is one of the properties at most imminent threat. Sue Stockton, landlady of the Hill House, the only pub remaining in the village, warned that businesses would suffer and die if something was not done quickly. “The whole village is in panic,” she said. Mr Kerby stressed that there was “no ignorance of our problems in Government, there is a conscious choice to abandon this part of the coast”. Posters advertising the meeting had been dotted around the village for several days. And a newspaper billboard outside the newsagent yesterday also brought attention to the meeting.